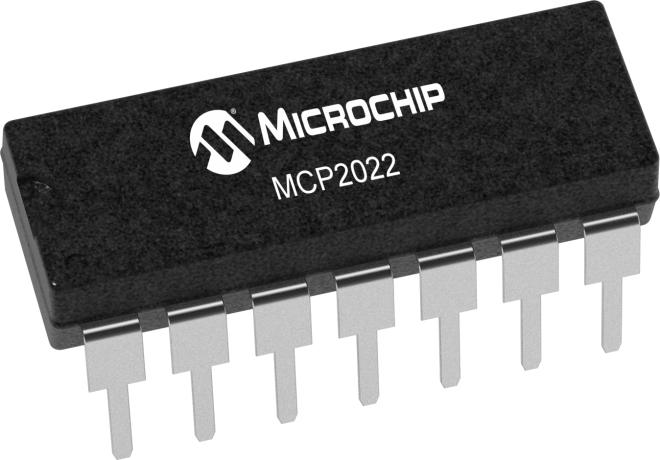 The MCP2022 provides a bidirectional, half-duplex communication physical interface to an automotive and industrial Local Interconnect (LIN) and SAE J2602 bus. Operation covers LIN Bus Specification Versions 1.3, 2.0, 2.1 and SAE J2602. The device incorporates a voltage regulator with 5V/50mA or 3.3V/50mA output. The regulator is short-circuit protected and also includes thermal shutdown. The regulator has been specifically designed to operate in the automotive environment and will survive reverse battery conditions, +43V load dump transients and double-battery jump starts. The device has been designed to meet the stringent quiescent current requirements of the automotive industry. The devices' very low emissions, excellent robustness to automotive transients and very high ESD robustness have been confirmed by independent test authorities.